Hola!! 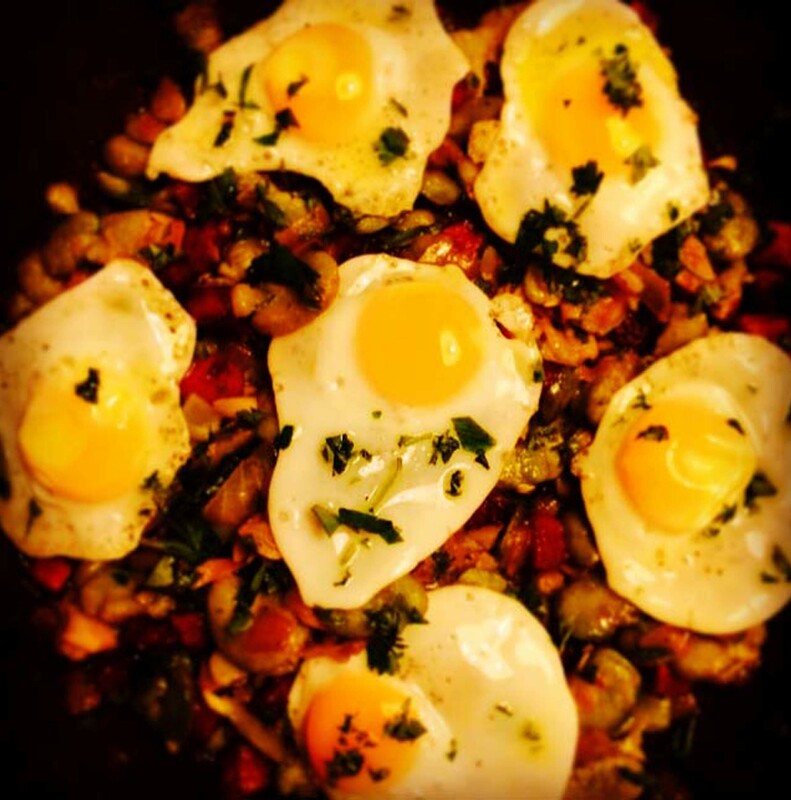 Last night we had to use up the Broad Beans up from my Aunts land, she told me of her recipe of cooking these with Chorizo and then I remembered the tapas I ate here last Easter; it was this type of dish with the beans but they served it with quails eggs and it was probably the nicest tapas I have tasted. So I thought I would give this a go…. Add in the beans and season with salt and pepper and a squeeze lemon juice. Stir in the pan for a few minutes. Stir through and taste, it may need more seasoning/lemon or honey to you taste. In another frying pan fry your eggs, as these are very small they cook very quickly. We figured it was best to heat the oil then remove the pan from the heat crack in the eggs and cook them in the warm oil for few minutes. You do not want to over cook these the yoke is best runny. Once cooked place on top of the bean mixture and sprinkle with parsley.